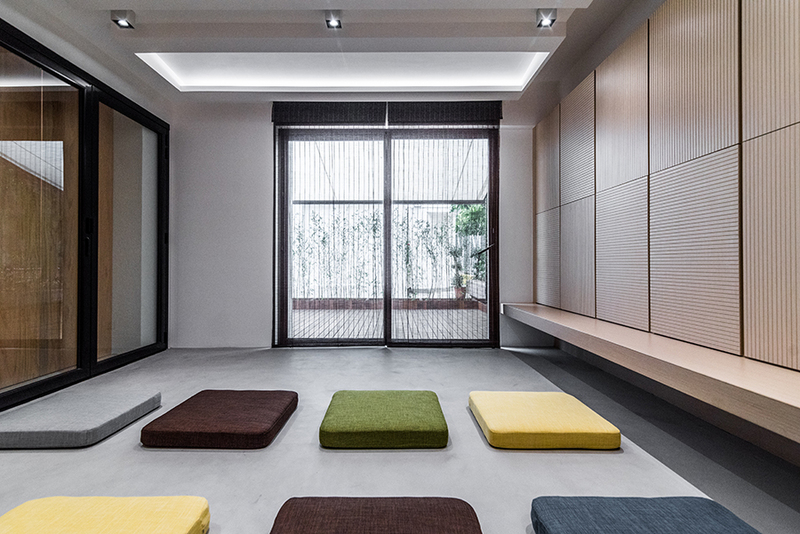 This alteration project for the staff quarter at the HHCKLA Buddhist Chan Shi Wan Primary School started in 2016. The project begins with the vision to provide a new meditation space for the students, teachers, and the neighbourhood. Had been used as the room for the Parent-Teacher Association and storage facility for a long time, the alteration proposed to merge the two smaller rooms into one bigger space and rearranged the point of entrance to the building. 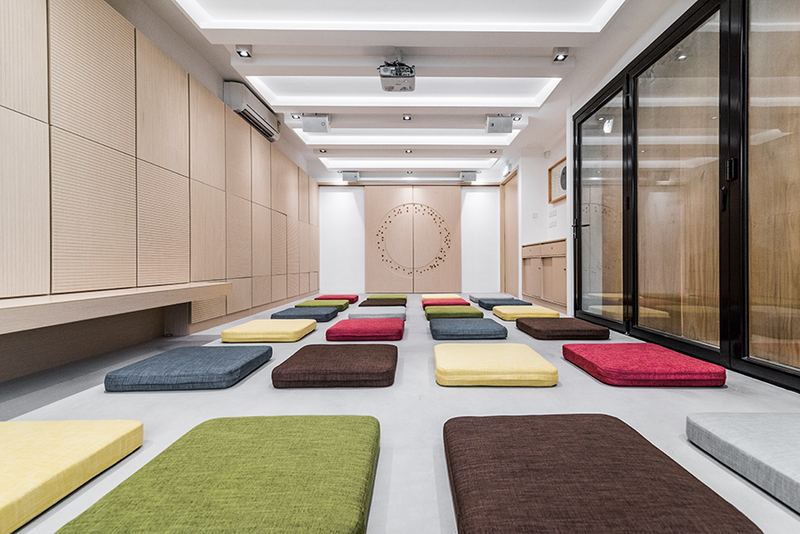 To create a friendly and calm environment for the students to practice meditation, a mix of timber and white colour is used. Opening up the main façade into rotatable timber fins with folding glass door allows the students to enter the meditation room from the front and welcome the natural sunlight to enter. A new timber deck with bamboo planter defines a moment of calmness before entry. The project brings the branding idea of “Completion of Heart” into a spatial experience, from signage to room partition, engaging students and visitors to participate and be aware of the presence.